How To Search The Nissan Service Center Online? Regular servicing or maintenance of the car is essential to boost the performance and the efficiency. For the safety of your life, regular maintenance of your car is very important. Car servicing is provided by many local dealers as well as the authorized ones. Now a question arises that whom should you pick in order to get the best outcomes. 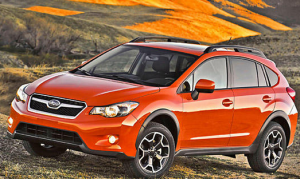 The authorized dealers provide many benefits when it comes to the servicing of the car. These dealers have team of professional and qualified servicemen to provide best services. So if you own a Nissan car, it is better to head towards the Nissan service center in and around your area. Below given are some essential points which needs to be considered while finding a Nissan service center for your Nissan car. How To Locate The Service Centre? To locate the Nissan service center, you can take the help of the locators. You can visit the official website of Nissan and search for service center locators. Enter your city and area and you will automatically get the address of the service center which is nearby to you. In this way, you won’t have to waste your time but can get the address sitting in the comfort of your homes. Longer Life –With time to time servicing one can extend the life of the car. You will be able to enjoy a smooth driving experience for a long time which in turn is a benefit for the car owners. You can get good resale value of your car if you maintain regular servicing of your car. Minute Problems Come to An End – When you take your vehicle to the service center, it is properly inspected and even the minute issues are checked. This means that your car has no issue and will run smoothly. So service helps you to keep a check on both the small as well as the complex issues related to the car. Thus, you don’t have to visit the service center often because complex issues will be identified in periodic maintenance. Peace of Mind –The car owners can enjoy peace of mind as they can take their vehicle for long trips without facing any problem. There will be no chances of breakdown which is the most common problem that the people face. So one need not take any tension but can easily relax once the servicing is done. Regular servicing of your car will increase the reliability. Less Investment – Most people feel that taking your car for regular servicing might cost you a lot, but this is not true. On the other hand, regular servicing helps you to save money that you might have to spend if the car encounters big issues. This can cost you a lot so a better idea is to get it regularly serviced to keep away from big investments. The charges of regular servicing are quite low while the initial servicing is free from authorized dealers. Servicing as Per Manufacturer’s Guidelines – Getting associated with the authorized dealer will ensure that the servicing is done as per the guidelines of the manufacturer. You have to check your car’s service manual so that you can identify car’s service intervals. So, the vehicle will be exactly how it came from the showroom thus maintaining its value. If in case, you wish to sell the car in future you will be able to earn a decent amount for the same. This is definitely an advantage which is only possible with timely servicing as with time the value of the car goes down. Thus, you can make the most out of the regular servicing that will not just keep your cars maintained but will improve the driving experience too. So, make sure you take the car for the regular maintenance as it offers all the benefits that are listed above. Locate an authorized Nissan dealer and get connected with them. 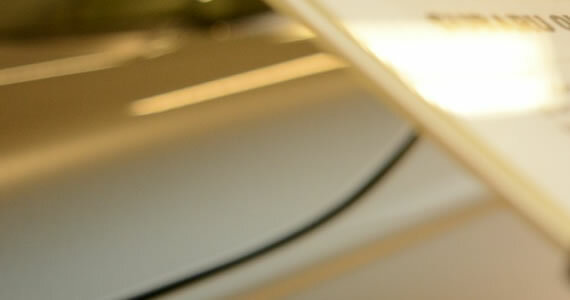 Why One Should Go For Genuine Nissan Car Service & Repair Center? Getting your car serviced regularly is one of the most important aspects of keeping your cars health in check. All those who own cars know the importance of having a good car service and repair centre. However, there comes a time when there is a dilemma of whether you should take your car for repair and service at the genuine service centre and dealership, or at a local service centre? When you opt for visiting a dealership for your cars servicing and repair, you can be assured of getting only expert and trained specialists who are specifically trained to work on a particular line or brand of vehicles. In a local service centre however, you will come across technicians who might have general knowledge about your vehicle and its parts, but cannot guarantee to have specialized knowledge. At an authorized Nissan dealership, the staff members are given constant training to update their set of skills and knowledge. They are given not only theoretical knowledge, but practical knowledge also. This is important as Nissan constantly updates the technology of their machinery, and the staff members are required to be updated on the advancements so that they are able to detect accurately any issues with your vehicle and repair them properly. When you opt for car repair and servicing of your Nissan car at an independent service centre, you are also risking warranty of your new car. If the independent service centre is not able to repair your car properly, it might cost you much more in the long run to get it repaired again for the damage caused. However, at a genuine Nissan car service and repair centre, your warranty will stay valid, while your car will receive proper care, servicing and repair using only genuine Nissan parts and products. Another advantage you will receive by visiting an authorized Nissan car service and repair centre is that you can rest assured that your car will be given only genuine Nissan parts and products. You can, however, choose to opt for the more affordable, refurbished original parts. But one thing that can be guaranteed is that you will receive genuine, durable and long-lasting Nissan parts and products for your car. The staff members who are working at a Nissan authorized service centre have extensive knowledge about your car and its different parts. This means that your car will receive proper care not only from your technicians, but fromrest of the staff working at the Nissan dealership also. By regularly having your car serviced at a Nissan dealership, you can be assured of having an up to date servicing and repairing of your vehicle. This is because the Nissan dealership will keep all records and history of your vehicles servicing, repairs as well as a picture of the road history of the car. By getting your car servicing and repairs done at an authorized Nissan service centre, you can even save money! They offer competitive pricing as well as great, reasonable rates for all its parts as well as service charges. Your car will be serviced using all the proper equipment, tools, and properly trained staff with up to date knowledge and skills. This is something you can be guaranteed only at a Nissan dealership and not at a local, independent service centre. Hence, keep the above-mentioned points in mind and avail the benefits by having your vehicle serviced at a Nissan authorized repair centre. 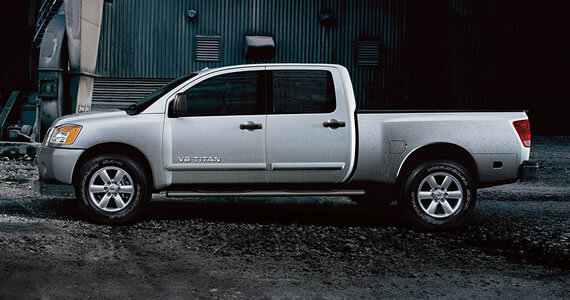 The Nissan Titan is a full-size pickup truck, a model introduced to the market in 2004. 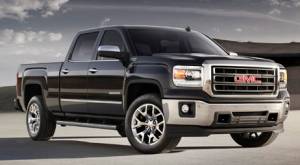 Major changes are coming to the Titan line with a new model slated for 2015, a truck that will include a diesel option. Shopping for a Titan now can save you thousands of dollars on some trim levels, providing a vehicle that can satisfy your passenger and equipment carrying needs. Nissan sells the Titan in 4×2 and 4×4 configurations and offers two extended cab models: King Cab and Crew Cab. Three bed choices are available; you can choose from four trim levels: S, SV, PRO-4X and SL. Standard seating is for six people with S and SV editions equipped with a bench seat and provides seating for five elsewhere. The Nissan Titan competes in the large pickup truck segment dominated by the Ford F-150, Chevrolet Silverado, Ram 1500 and the GMC Sierra. The Toyota Tundra also competes in this class. Nissan also offers a smaller truck model, the Frontier. For 2014, all Nissan Titans are powered by a 5.6-liter V-8 engine, making 317 horsepower at 5,200 rpm and 385 foot-pounds of torque at 3,400 rpm. This 32-valve aluminum engine is naturally aspirated and longitudinally mounted, and has a 9.8 to 1 compression ratio. It measures 3.86 inches bore by 3.62 inches stroke. Titan’s engine is paired with a five-speed automatic transmission with overdrive. The drive system is two-wheel drive or part-time four-wheel drive. The final drive ratio measures 2.937 or 3.357 with the PRO-4X. The Nissan Titan takes regular grade gasoline or it can run on E85 fuel. Gas mileage is 13 mpg in the city and 18 mpg on the highway for the 4×2 edition and 12 mpg in the city and 17 mpg on the highway for the 4×4 edition. The 2014 Nissan Titan has a standard 139.8-inch wheelbase, expanded to 159.5 inches with the crew cab body style. This truck’s length measures 224.6 inches to as long as 244.2 inches with the crew cab. Overall height ranges from 74.6 to 76.9 inches; this truck measures 79.5 inches wide. Ground clearance for the Nissan Titan measures 10.2 to 10.7 inches. Bed lengths are 67.3, 79.1 and 87 inches, depending on the model selected. Its curb weight ranges from 4,847 to 5,556 pounds. Total interior volume ranges from 112.8 for the king cab to 125.6 inches for the crew cab. Payload ranges from 1,644 to 2,153 pounds. Towing capacity ranges from 7,300 to 9,500 pounds. The 2014 Nissan Titan is outfitted with standard 18-inch steel wheels with black sidewall Continental tires in the S edition. Upgrades to alloy wheels, 20-inch wheels and Goodyear or BF Goodrich tires is available. Nissan tucks a full-size spare tire underneath the rear bed area. Halogen headlights are standard across the model line and include an automatic on/off feature with the Pro-4X and SL editions. Fog lights are optional with the SV edition and are standard with the two top trim levels. A base cloth package is standard with the Titan S with premium and two-tone cloth available with other trim levels. Choose the SL and your truck receives leather-appointed seating. Heated front seats are standard with the SL and are optional with the Pro-4X. A power driver’s seat with an 8-way function is standard with the SL. A 4-way power function is available for the front passenger. The Nissan Titan is equipped with a six-speaker audio system in the king cab and an eight-speaker audio system in the crew cab. Also available is a Rockford Fosgate audio system. A navigation system is available as is a DVD entertainment system. Convenience features available with the Nissan Titan include power windows, power door locks, cruise control, keyless entry, power folded side mirrors, reading lights, power adjustable foot pedals, 12-volt outlets and a 120-volt outlet. Safety features include an anti-lock braking system, stability control, traction control, and a tire pressure monitoring system. Joseph Grey is a professional blogger that shares news and information on CDL trucking jobs and companies. He writes for TruckersClassifieds.com, where you can find trucking jobs nationwide online. Gather round, sports car enthusiasts. 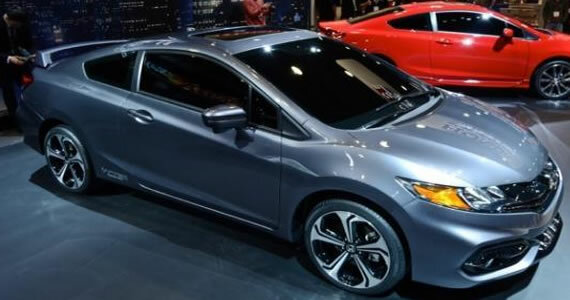 Automakers have released their 2013 vehicle lines, and two Japan-based motor companies’ athletic coupes are turning heads on the road. Nissan’s latest release from its legendary Z line, the 370Z, continues the high performance legacy with pure speed and precise handling. Mitsubishi’s Lancer Evo blends under-the-hood excellence with day-to-day dependability to create a rare driving experience. These two go head-to-head in style and performance. Auto enthusiasts may see a resemblance to the classic Porsche 911 in Nissan’s newest 370Z. Slimmed down from its predecessor, the 350z (currently available through used Nissan dealers in AZ), the 370Z’s body exudes speed. This chic frame is mounted on 18-inch aluminum-alloy wheels and features LED daytime running lights along with traditional headlights. The Z’s cozy interior feels more like a cockpit than a driver’s seat. Contoured padding supports the ideal motion, whether you’re driving an automatic or a manual, and bright gauges help will help you keep hold of the reins. By contrast, the 4-door Lancer Evo has a more square shape, providing space and convenience for its passengers within a stylish frame. It’s easy to spot a Lancer because of their trademark spoiler, which arches high above the car’s trunk. The body sits low to the ground on 18-inch alloy wheels, promoting road-hugging handling and smooth style. Speed is the name of the game for these two bullet racers. The 370Z’s 3.7-liter, 7-speed engine generates 332 horsepower at 7,000 rpm and features the Variable Valve Event and Lift system, which reduces friction and improves performance. The Synchro Match function detects shifts in either direction and matches the speed accordingly, providing smooth accelerations and decelerations. To help drivers to harness this power, the 370Z is mounted on “high response” shock absorbers and anti-lock brakes. Add it all up, and the result is a car that goes zero to 60 in 4.7 seconds with impeccable handling. Forged from the pits of rally racing circuits around the world, the Lancer Evo is a race car in disguise. Mitsubishi’s Super-All Wheel Control (S-AWC) affords drivers total control of the 291 horsepower, 2-liter turbo-charged engine. 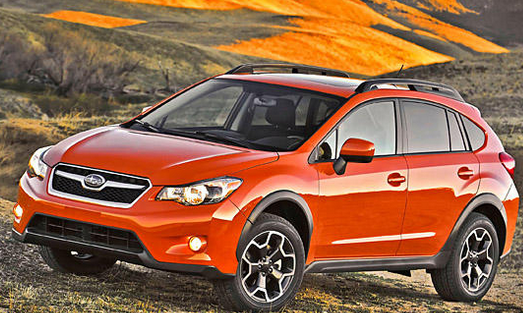 Experience four-wheel handling and a balanced torque split — ideal handling proportions. Lightweight, two-piece brake rotors and an upgraded suspension give you the potential to remain in control at break-neck speeds. Nissan seems to have tailored every aspect to create the best driving experience around, but it sacrificed some utility in the process. 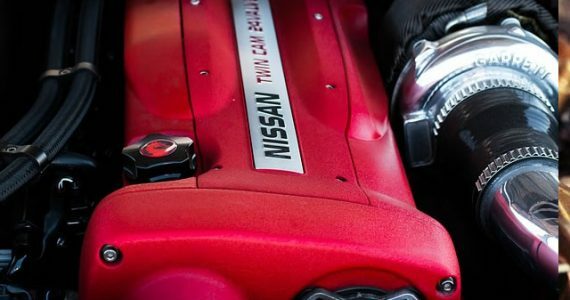 The 370Z seats two and provides minimal cargo space, so it may not be ideal for families. At an EPA estimated 21 combined miles per gallon, this sporty coup holds its own in terms of gas mileage, so individual passengers can cruise through everyday life in style. Part of the Lancer Evo’s allure is its versatility. As capable of racing the streets of Monaco as it is picking up groceries, this comfortable sedan will inject speed and style into day-to-day tasks. The Lancer Evo seats five and provides substantial trunk space. 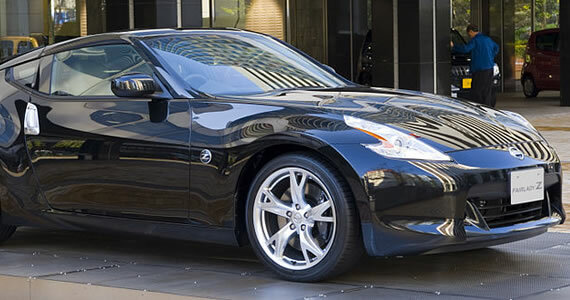 The 2013 Nissan 370Z Coupe starts at $33,120. Find a list of available add-ons on Nissan’s website, and the 2013 Mitsubishi Lancer Evo starts at $34,695. View additional features at Mitsubishi’s website. For a closer look, check out the video below!